Your directors present their report on State Gas Limited (ASX:GAS) for the half-year ended 31 December 2018. 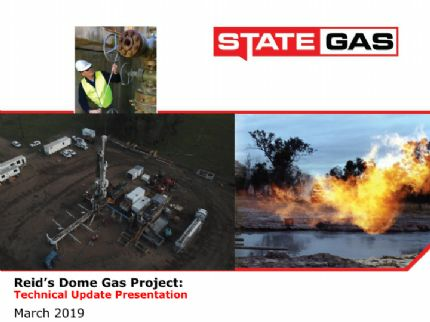 State Gas Limited (ASX:GAS) provides the Company&apos;s latest presentation on technical update for Reid&apos;s Dome Gas Project. State Gas Limited (ASX:GAS) is pleased to offer eligible securityholders the opportunity to participate in a Security Purchase Plan, allowing you to potentially contribute up to A$15,000 in applying for fully paid ordinary securities in GAS. State Gas Limited (ASX:GAS) advises that it has undertaken a private placement to sophisticated investors raising $500,000. 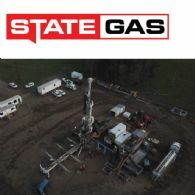 State Gas Limited (ASX:GAS) advises that it has appointed leading independent M&A/Advisory firm Highbury Partnership as financial advisor to help it respond to inquiries from potentially interested parties. 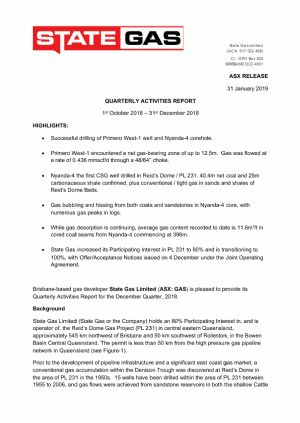 Brisbane-based gas developer State Gas Limited (ASX:GAS) is pleased to provide its Quarterly Activities Report for the December Quarter, 2018. State Gas Limited (ASX:GAS) provides the Company&apos;s latest presentation. State Gas Limited (ASX:GAS) hereby provides clarification following its announcement on 5 December 2018 of its initiation of the process to increase its Participating Interest in the Reid&apos;s Dome Gas Project (PL 231) to 100% in accordance with the provisions of the Joint Operating Agreement (JOA) for the PL 231 Reid&apos;s Dome Joint Venture. State Gas Limited (ASX:GAS) advises it has initiated the process to increase its Participating Interest in the Reid&apos;s Dome Gas Project (PL 231) from 80% to 100% in accordance with the provisions of the Joint Operating Agreement (JOA) for the PL 231 Reid&apos;s Dome Joint Venture. State Gas Limited (ASX:GAS) advises it has increased its Participating Interest in the Reid&apos;s Dome Gas Project (PL 231) from 60% to 80%. 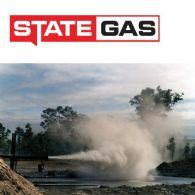 State Gas Limited (ASX:GAS) advises that the Nyanda-4 coal seam gas and conventional gas well at the Reid&apos;s Dome Gas Project (PL 231) was spudded at approximately 8am AEST today. State Gas Limited (ASX:GAS) provides the Company&apos;s Chairman address to the Annual General Meeting. 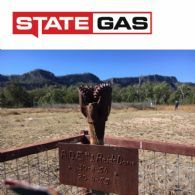 State Gas Limited (ASX:GAS) advises that logging and testing activities of the Primero West-1 well at the Reid&apos;s Dome Gas Project (PL 231) have been successfully completed. State Gas Limited (ASX:GAS) is pleased to advise that drilling activities at the Primero West- 1 well at the Reid&apos;s Dome Gas Project (PL 231) reached the planned depth of 250 metres this morning at 7:40AM (AEST). Drilling ceased at 250.77 metres total depth. State Gas Limited (ASX:GAS) is pleased to advise that, as anticipated, the Primero West-1 well at the Reid&apos;s Dome Gas Project (PL 231) encountered gas overnight at 134 metres within the Cattle Creek Formation. 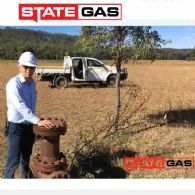 Brisbane-based conventional gas developer State Gas Limited (ASX:GAS) is pleased to provide its Quarterly Activities Report for the September Quarter, 2018. Further to the 22 October 2018 announcement of the upcoming drilling of Primero West-1, State Gas Limited (ASX:GAS) is pleased to advise that, the Reid&apos;s Dome Gas Project Joint Operating Committee has also formally approved the drilling of the proposed Nyanda-4 coal seam gas and conventional gas well at the PL 231 Reid&apos;s Dome gas project. Brisbane-based gas developer State Gas Limited (ASX:GAS) is pleased to advise that it will commence a drilling program in November 2018 at the PL 231 Reid&apos;s Dome gas project. The project is located South West of Rolleston in the Bowen Basin in Central Queensland, approximately 50 km from the Queensland Gas Pipeline. 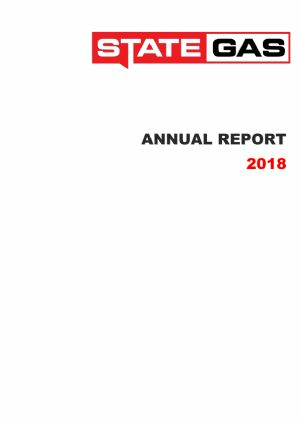 State Gas Limited (ASX:GAS) provides the Company&apos;s Annual Report to shareholders. Brisbane-based conventional gas developer State Gas Limited (ASX:GAS) is pleased to provide its inaugural Quarterly Activities Report, for the March Quarter, 2018. 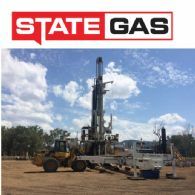 Brisbane-based conventional gas developer State Gas Limited (ASX:GAS) is pleased to provide an operational update on its PL 231 Reid&apos;s Dome - Cattle Creek conventional gas project located South West of Rolleston in the Bowen Basin in Central Queensland. Brisbane-based conventional gas developer State Gas Limited (ASX:GAS) is pleased to advise it has appointed Mr James Crowley as Chief Operating Officer. 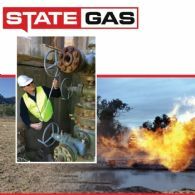 Brisbane-based conventional gas developer State Gas Limited (ASX:GAS) is pleased to provide its inaugural Half-Yearly Operations Report for the half-year ended December, 2017. Brisbane-based conventional gas developer State Gas Limited (ASX:GAS) is pleased to advise it has appointed Lucy Snelling as its inaugural Chief Executive Officer. Brisbane-based conventional gas developer State Gas Limited (ASX:GAS) is pleased to provide its inaugural Quarterly Activities Report, for the December Quarter, 2017. Brisbane-based conventional gas developer State Gas Limited (ASX:GAS) is pleased to advise it has successfully completed gas flow-testing, sampling and analysis from existing gas wells at PL 231 in the Bowen Basin Central Queensland. State Gas Limited (ASX:GAS) provides the Company&apos;s latest Presentation at Queensland Exploration Council - Investment Showcase. Brisbane-based gas conventional gas developer State Gas Limited (ASX:GAS) is pleased to announce that its shares will commence trading on the Australian Securities Exchange (ASX) today (Tuesday, 10 October 2017).